Peter Burrows – 35 years of experience both in the corporate world and in successful businesses in his own right Peter has been a business coach since 2006. He started as an Action Business Coach and has been rated in the top 50 out of 1400 worldwide Action Coaches. Recently he has established his own coaching business, Brisbane Business Coaching, and looks forward to continuing to help business owners develop their businesses. Begun working with a fabrication business turning over $800K P.A. and owner working 60hrs a week both fabricating and quoting. Today the company turns over in excess of $4m P.A. with the owner working on his business 30 hrs per week. Took on a client earning $55k p.a. with a dream to work for himself. Today he has his own business which earned him $200k in the first year with projections to double that in year 2. Started coaching a client struggling with time management and trying to make ends meet. Today we have added $15k per month to his bottom line and employed an extra staff member allowing him now to concentrate on growth. Within 6 weeks turned the bottom line of an automotive repair shop from losing up to $7000 a month to making $2000 a month. Peter’s professional experience spans 30 years whereby he has focused on business development both in the corporate world and within his own ventures. He has a strong background in sales and marketing having worked with industries such as retail, construction, waste management and franchising. Peter’s philosophy about business coaching is: 1. All about the clients and the results they want. 2. Ensuring business remains “fun.” If you don’t enjoy business then do something else. 3. It should always have a positive financial impact on the business from day one. Strong business relationships are built on honesty, integrity and trust and the development of strong teams is a result of strong support and leadership. Peter has been an executive coach for the past 5 years coaching a variety of businesses from large multi- million dollar property developers to a one man engraving business turning over $100k per annum.. He is passionate about seeing others succeed both in business and personally. Peter has been married to Donna for 28 years. He has 2 children, a daughter named Kristen and a son named Dan. Peter believes strongly that the family unit is still the cornerstone of today’s society. 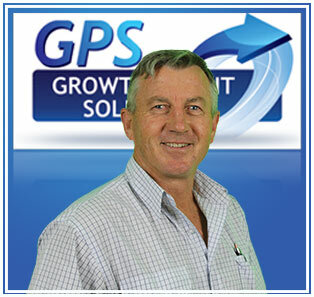 Peter is looking forward to helping you achieve your business and personal goals!